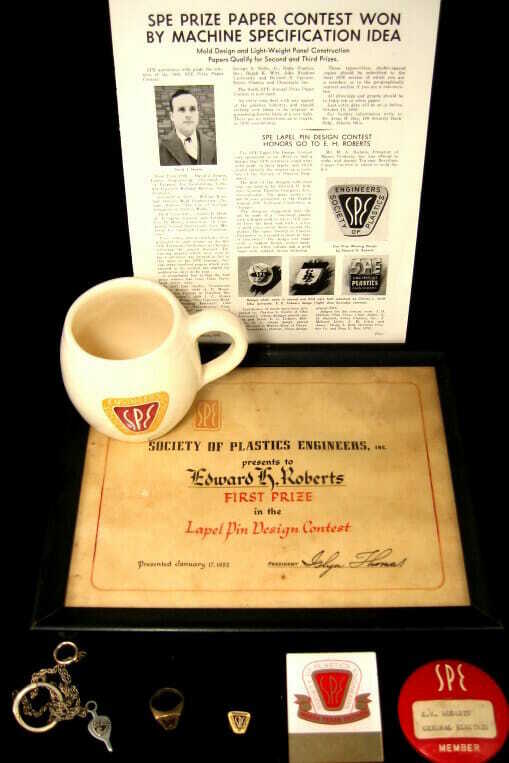 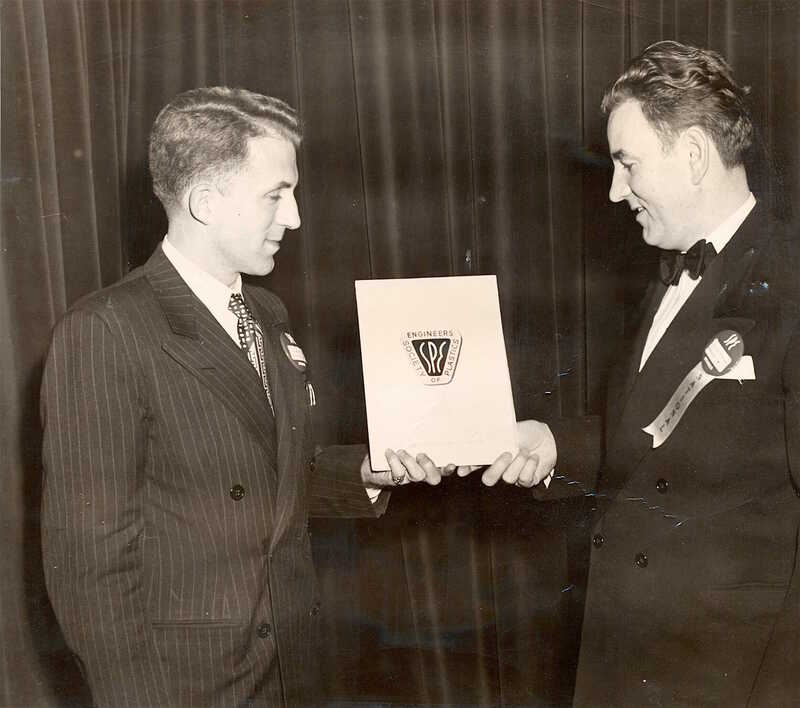 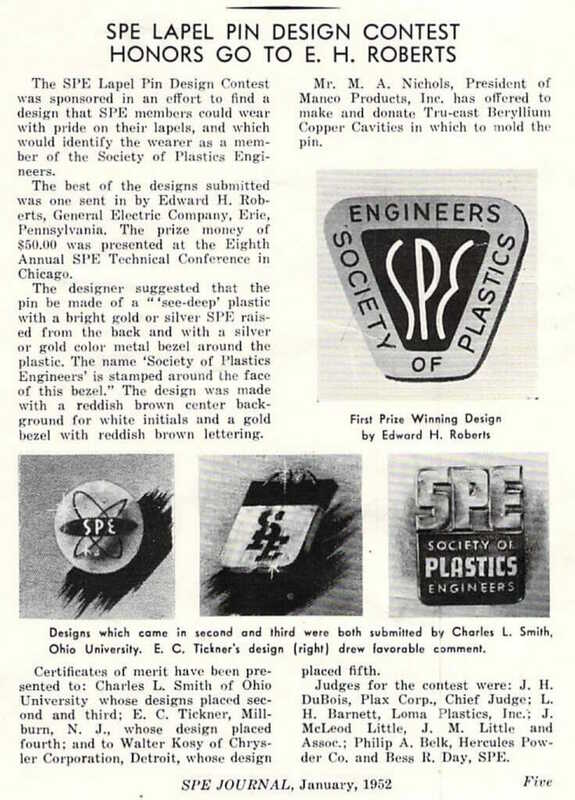 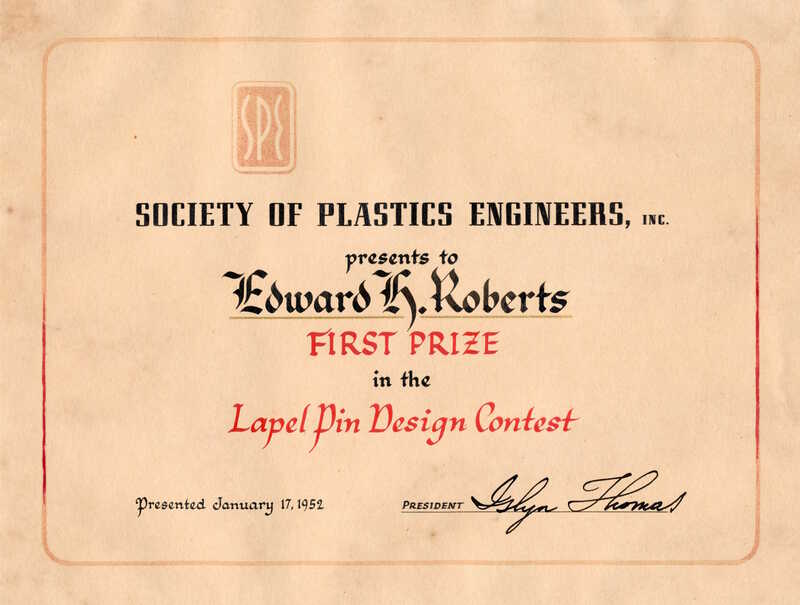 1952 photo (8×10) of presentation to Edward H. Roberts by SPE President Islyn Thomas, honoring Ed’s design for the new lapel pin. 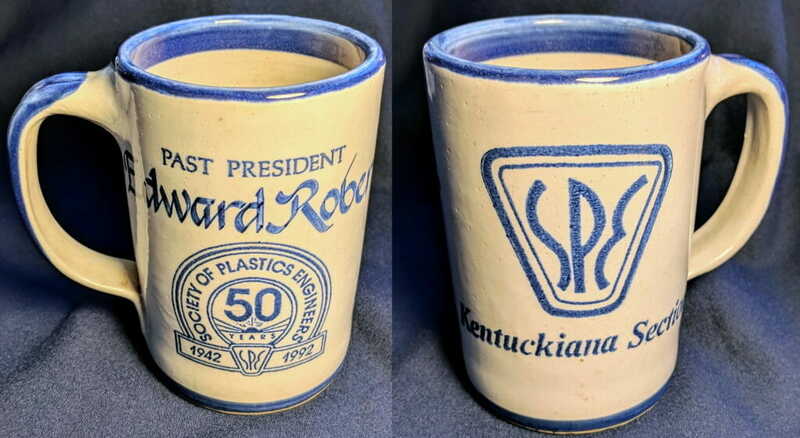 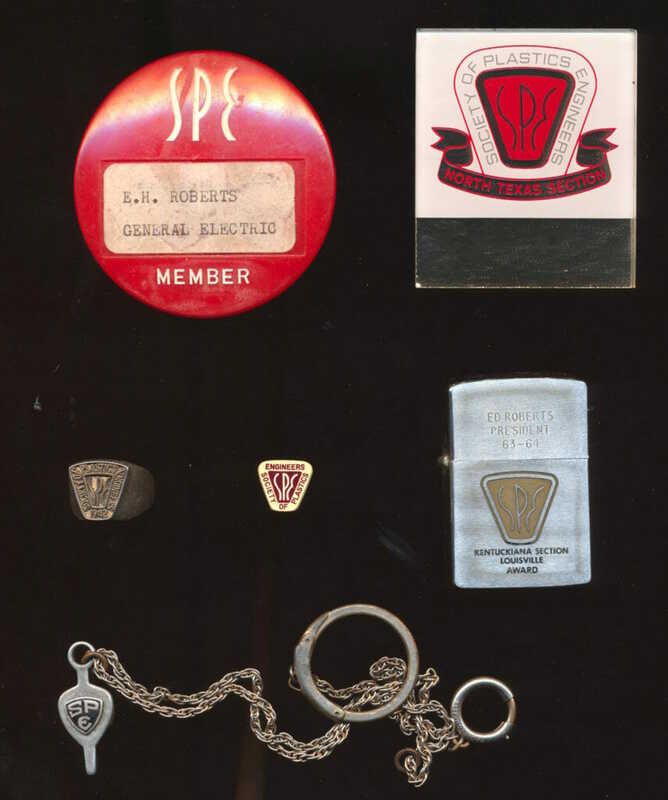 Rare Zippo lighter with SPE logo and “Ed Roberts, President, 63-64” engraved (award from Kentuckiana Section). 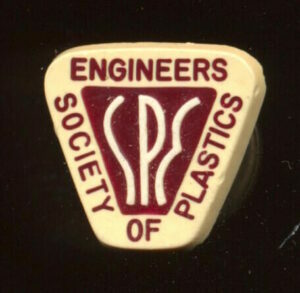 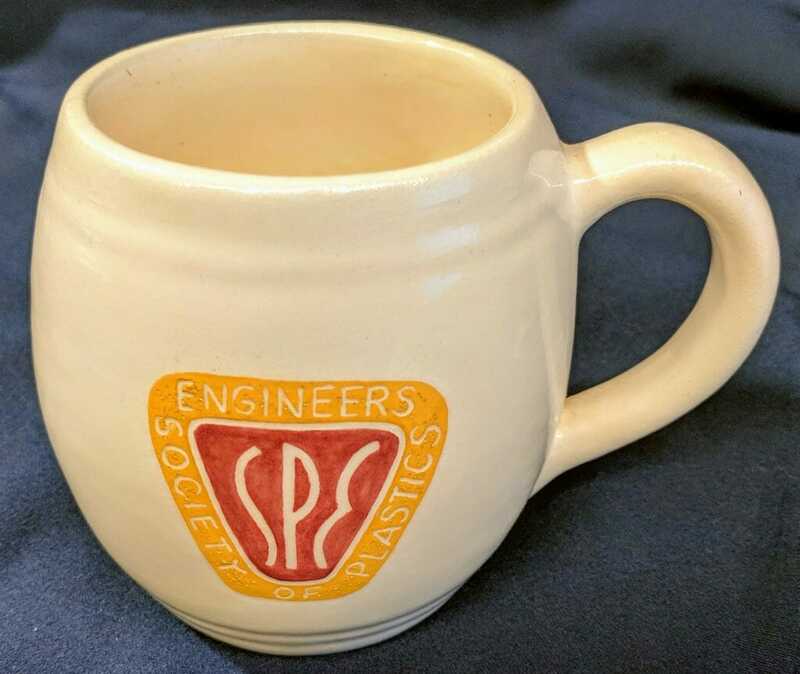 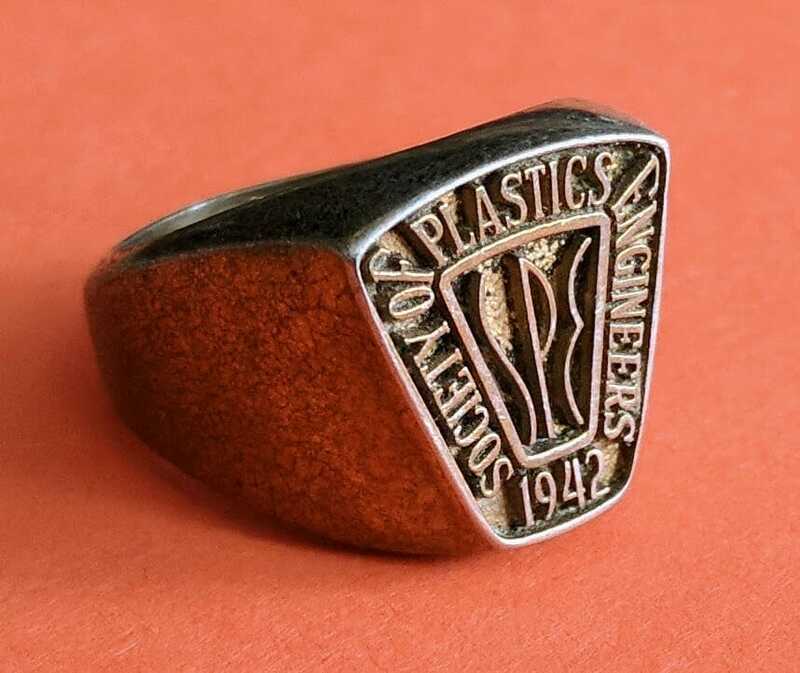 Highlighting the eighth annual Society of Plastics Engineers technical conference banquet in Chicago, Jan 17, was the award of a certificate and the $50 cash prize to Edward H. Roberts, Erie Works engineer, for his winning entry in the national SPE lapel pin contest. 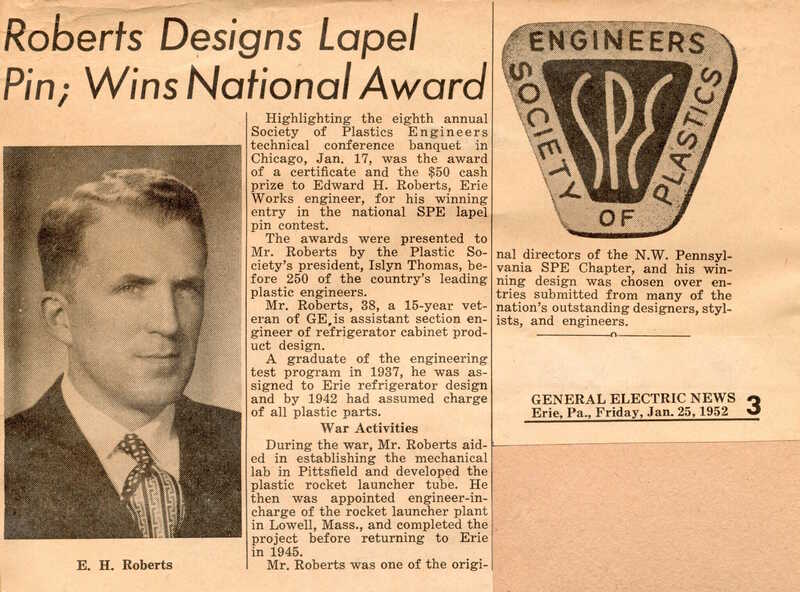 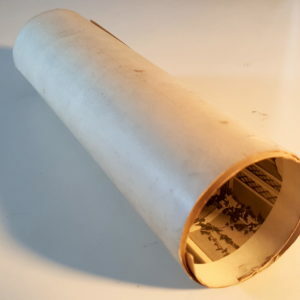 The awards were presented to Mr. Roberts by the Plastic Society’s president, Islyn Thomas, before 250 of the country’s leading plastic engineers.